Today on the blog we are seeing double! 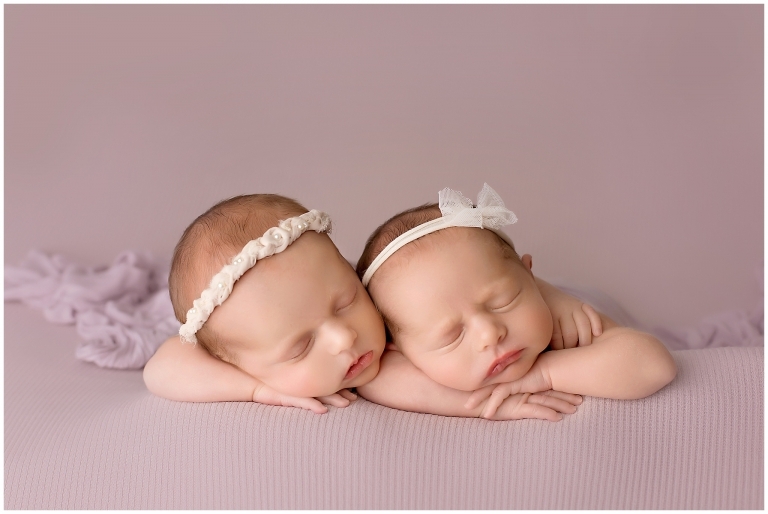 Welcome, Juliette and Isabella’s twin newborn photography session! My goodness, these girls were such amazing little peanuts! Weighing in at just under six pounds each at birth, they were so dainty and sleepy! 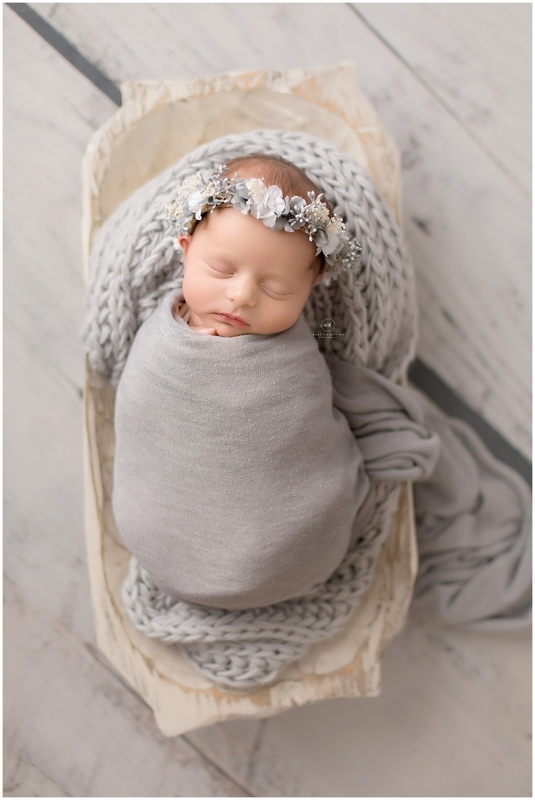 Talk about a newborn photographer’s dream! My friend Lauren, who is also a photographer, came to assist with these sweet girl’s session. Twin newborn photography sessions really need two sets of hands on them at all times to be done safely. Lauren was an amazing help (and friend)! Oh these two sweet faces just melt my heart! They were both so content just to snooze their session away. These girls are not identical, but I did have a difficult time telling them apart (which is unusual!)! Thank goodness mom and dad had no problem knowing which little one was Juliette and which little one was Isabella. Gorgeous names for sweet little girls! As important as it is to capture twins together, I think it is just as important to get individual photos as well. As these girls grow, they will develop into their own person with such unique personalities! 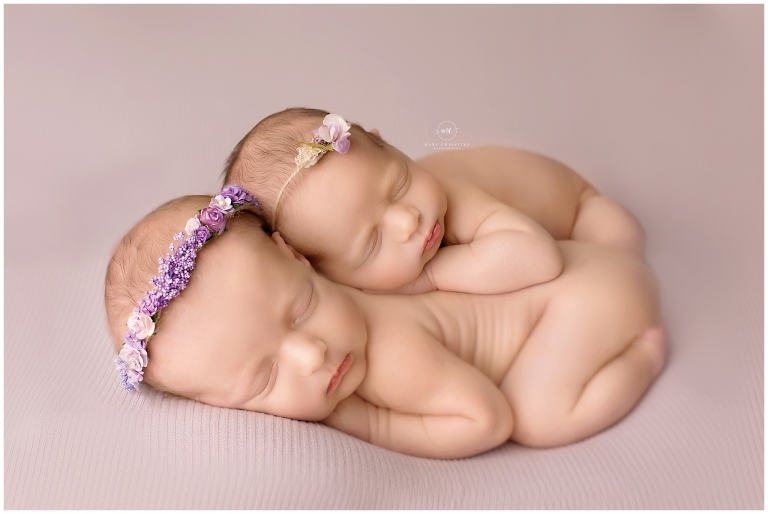 Twin newborn photography is amazing opportunity and challenge! Mom requested this little bunny from Mary’s Knitting. This neutral set is so sweet and simple. Love how this image turn out! If you have read any other blog posts, you know this family silhouette is a must at any newborn sessions, but this was my first time with twins doing this pose! I love how it turned out! Thank you so much for stopping by the blog and checking out twin newborn photography! 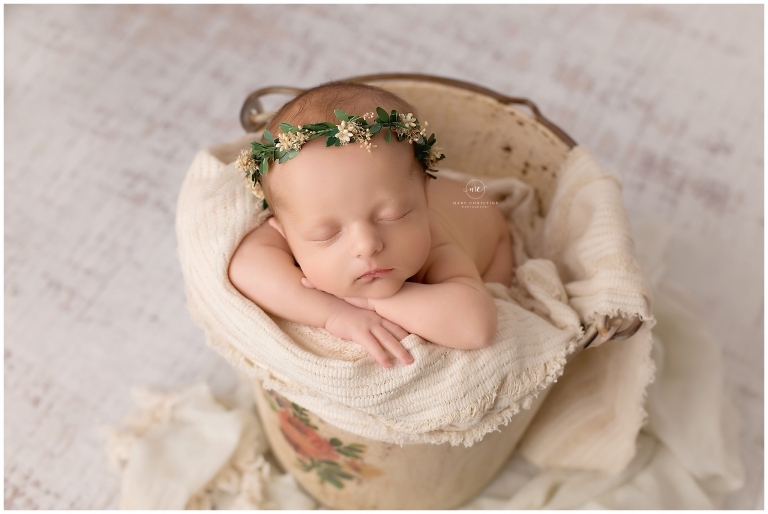 Are you expecting soon and considering a newborn session? Please stop by the Kind Words page to hear about other clients’ experiences. I would love to be considered for your photographer!